Can you believe that the holidays are upon us? Ruffino Prosecco is a sparkling wine that I had written about a while ago that fits very well for the current time, especially for the holidays. Hum, what should I serve with our holiday meal? I wanted something different. So off I went to Nugget Market, my favorite grocery store to talk with the wine buyer. He recommended an Italian wine, Ruffino Prosecco, a light sparkling white wine. Of course, I had to try it before the big meal … right? When I read about Ruffino Prosecco, I wanted to immediately jump on a plane and travel to Italy. Ruffino, established in 1870, has a very long history and is one of the most trusted in the wine business in the Tuscan wine region of Italy. Over time Ruffino Prosecco has become the living symbol of the quality that embodies the entire Italian wine sector, now found in over 90 countries around the world. It is beautifully nestled in the rolling hills of Tuscany. 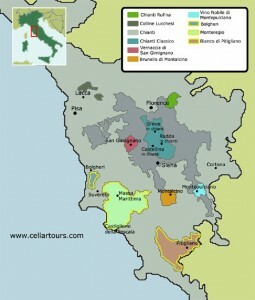 Ruffino currently has seven estates, which produces some of the very best wines from the Tuscan wine region. It is the mission of all the Ruffino workers to ensure they consistently produce the very best quality wines that can be enjoyed many times over. I do believe they have succeeded. The taste of Ruffino Prosecco only encouraged my desire even more to travel to Italy. I will absolutely be serving Ruffino Prosecco for our holiday meal. The price is so reasonable that it allows the opportunity to enjoy it, not just at a special occasion, but any time. “Ruffino Prosecco has been produced from grapes grown in highly vocated vineyards located in the Northeastern regions of Italy, defined by the Prosecco Doc code of production. The selected grapes of Prosecco undergo a traditional white wine vinification. Then the wine undergo the Charmat Method, which consists in a natural re-fermentation in pressurized tanks using selected yeasts. This process, lasting approx. one month, provides refined bubbles and preserves the fruity aromas typical of the Prosecco varietal. A Bright straw yellow with fine bubbles. The bouquet is fragrant and intensely fruity. It shows clean notes of apples, pears and citrus, accompanied by slight hints of hawthorn, wisteria and elder. Crisp, clean and delicate with fine bubble caressing the palate. Intense sensations of apples and peaches drive a pleasant aftertaste, that is reminiscent of fruity and floral aromas. Ideal as an aperitif; it is very versatile as a food companion. I am always a sucker for sparkling wines. 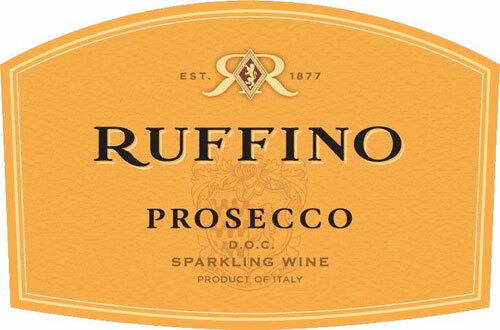 Ruffino Prosecco is especially delightful and a “must” try. When you try this wine, buy a couple of bottles, it’s that good. Enjoy. If you enjoyed reading about Ruffino Prosecco, check out Domaine ste Michelle Brut, Veuve Clicquot Yellow Label Brut Champagne and Scharffenberger Cellars Brut Excellence. Enjoy.